PET PANTRY OF LANCASTER COUNTY INC - Maverick's March Maddness 2019!!!! Help "Meet the Need" By Picking the 2019 "Feline Final Four"
THE Most Anticipated March Bracket Challenge of the Year is back once again as "Maverick" has assembled 64 of the finest felines adopted from the Pet Pantry of Lancaster County to do battle for YOUR votes as we make our way through the month of March to the "Feline Final Four" and one "Catastic Champion". The ones lucky enough to reach the "Feline Final Four" will each get their photos professionally taken to appear in their own month of our 2020 Pet Pantry Calendar. The overall "Catastic Champion" gets to grace the cover!! How do these amazing felines advance to the next round?? It is all because of YOUR votes. For a minimum donation of $5 to the Pantry you will get the link to head to the tournament page and vote for your favorites in each round. One $5 donation gets you the ability to vote in ALL rounds of the tournament. Of course if you want to donate more, "Maverick" won't mind. 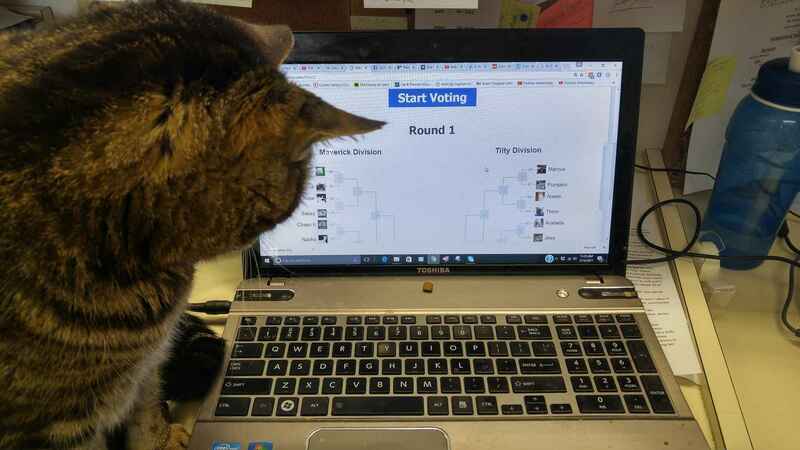 All donations go directly to the Pet Pantry's mission of "Meeting the Need" When you make your donation, you will receive a "Thank You" email with the link that takes you to the tournament page to start voting. Good Luck to all 64 cats participating this year, and if one of the cats taking on the competition is YOURS, well get your friends and family to donate and vote to help them move on!! I vote for Sweet Potato! For all the pets that deserve their forever home and all the homes that become complete. I donated in support of this campaign. Good luck Clayton!